California labor and social justice groups are throwing down the gauntlet to Walmart during a two-week statewide tour to protest the giant retailer’s abuse of taxpayers and workers alike. The state tour, with rallies at Walmart superstores in various cities and towns, aims to garner public support in a twofold campaign. One goal is to highlight Walmart’s unfair worldwide labor practices and callous disregard for human life, in pursuit of maximum immediate profit. The other is to close the “Walmart loophole” that unfairly targets California taxpayers. 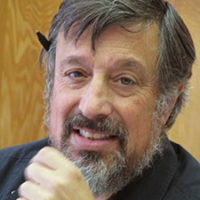 “When big companies use the Walmart loophole to force workers on to Medi-Cal, taxpayers pick up the tab,” said California Labor Federation head Art Pulaski. Medi-Cal is the state’s health care program for the poor, elderly and disabled. Earlier this month, the new “Fair Share Health Care Coalition” – including the California Labor Federation, the California Medical Association, United Food and Commercial Workers, and health care advocates – joined forces to urge passage of California Assembly Bill (AB) 880 to close the Walmart loophole. 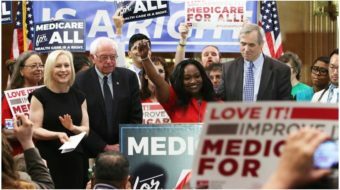 By cutting hours and wages so low that workers qualify for care through Medi-Cal, Walmart and other large corporations want to avoid federal penalties they would accrue if workers earned enough to enroll in state health care exchanges going into effect in 2014 under the Affordable Care Act (ACA). AB 880, the nation’s first legislation of its kind, closes the loophole by requiring companies with 500 or more employees to pay a penalty for each worker on Medi-Cal. The fee equals the cost of a commercial health plan a large employer would provide to employees. The fee will be prorated by the number of hours worked by employees enrolled in Medi-Cal. Resulting revenues will pay for the non-federal state share of the Medi-Cal program, will increase reimbursement rates for providers to care for Medi-Cal recipients and will shore up the state’s safety net. “This bill encourages employer-based coverage for low-wage workers, prevents very large employers from shifting their health costs onto taxpayer-funded programs, and helps raise funds to improve Medi-Cal,” said Anthony Wright, Executive Director of Health Access California. “Already, California taxpayers are footing the bill for more than $32 million in health care costs that Walmart has dumped on us. That’s simply unfair,” said Jim Araby, Executive Director of the United Food and Commercial Workers’ Western States Council. 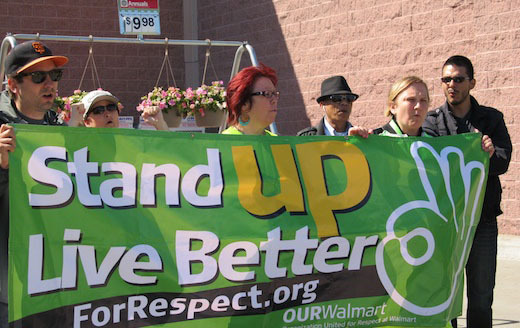 The other part of the labor-led campaign, called the “Ride for Respect,” consists of actions at Walmart superstores around the country culminating in a week of demonstrations at the corporate headquarters of the world’s largest retailer in Bentonville, Ark. in June. Eighty percent of Walmart associates are paid so poorly they have to be on food stamps, Medicaid or other public assistance, Vetato said. Modeled on civil rights volunteers who rode buses into the South in the 1960s to protest Jim Crow racial injustice, “like the freedom riders, we will be standing up for dignity and respect and justice and will be protesting peacefully,” Vetato added. The Organization for Respect at Walmart (OUR Walmart for short), the national group to which the Vetatos belong, wants better pay, benefits and working conditions. Last year, Walmart made nearly $17 billion in profits and CEO Mike Duke walked away with nearly $23 million. Meanwhile, median worker pay at Walmart is $22,400, or 1,034 times less than what Duke makes (according to PayScale), rendering Duke’s claim that the company pays “competitive wages” a cruel hoax. Meanwhile, on the world scene, evidence has revealed that Walmart subcontracted with garment sweatshops at the Rana Plaza in Bangladesh which recently collapsed, taking the lives of 1,100 workers. Unmoved by this horrific tragedy and its role in it, Walmart will not join the new fire and building safety agreement that 37 other mainly European companies have signed.